Published July 5, 2015 at 1512 × 2526 in Weekend. 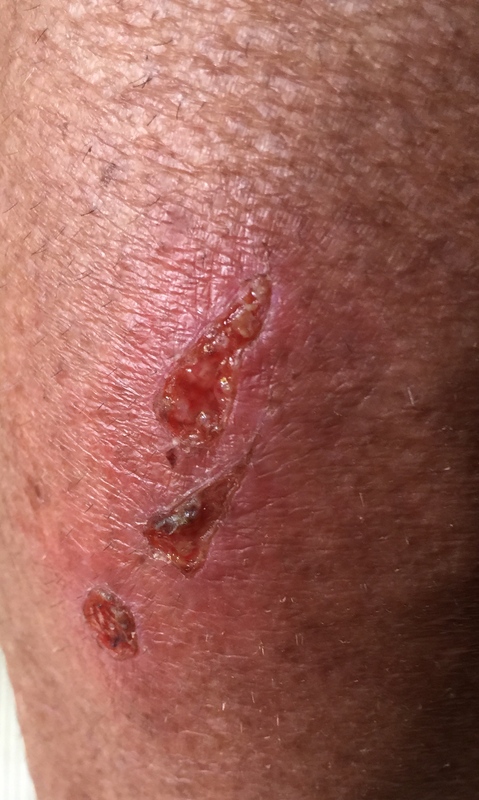 My calf has become a little infected after a crash before the Lutsen race last weekend. Maybe this is why I’m feeling under the weather. Thanks for the selfie, or calfie, Steve.